GREAT FALLS — The wind whipping through the Electric City was the sturdiest performer Saturday at Memorial Stadium. The Bulldogs did pretty well, too. CMR topped the Boys field with 82 points. 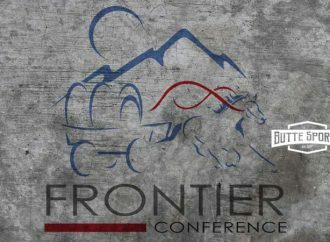 Helena High placed second at 52, while Butte High scored 47 points. 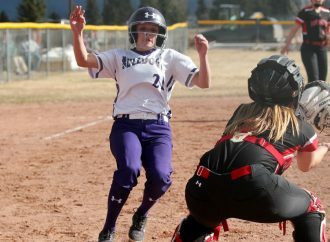 Helena High’s girls claimed the top spot with 98 ¼ points. Butte High was next at 55 ¾, and CMR scored 27. Tommy Mellott ran to victories in the 100- and 200-meter races. Mellott finished the 100 in 11.78 seconds before crossing in 23.82 in the 200. Teammate Josh Neil placed second in both events, which ran directly into the strong wind. 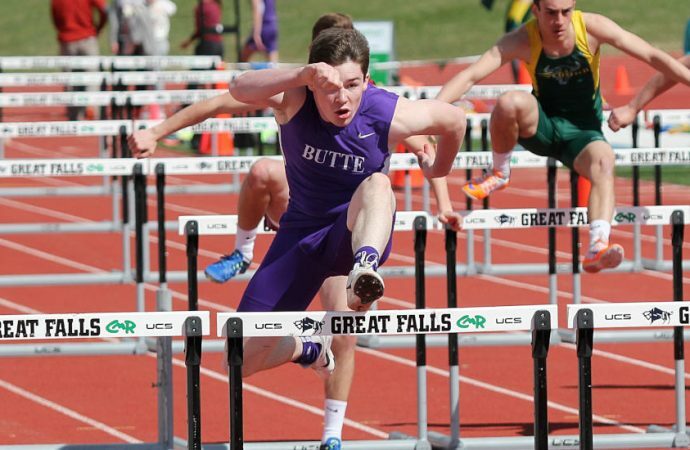 Quinn Sullivan of Butte high ran to victory in the 110-meter hurdles with a wind-hindered time of 16.29. He also took second in the 300 hurdles. Sullivan won the JV 100-meter dash. His time was the best of the day, though, at 11.75. 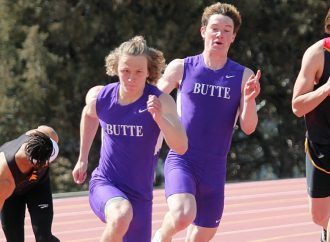 Butte High’s boys also swept the relay races. Tucker Winston, Sullivan, Mellott and Neil ran the 400-mete relay. Jake Vetter, Mellott, Sullivan an Winston teamed to win the 1,600 relay. Vetter ran to second place in the 800-meter race, while Aidan Pezdark took second in the triple jump and fourth in the long jump. Zach Merrifield took third in the long jump, and Rylan Richards placed third in the high jump. 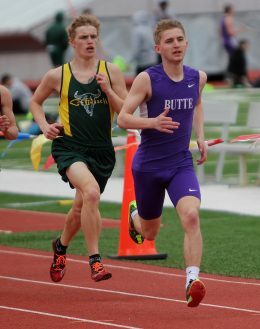 Tucker Winston finished with fifth-place finishes in the 100 and 200, and teammate Billy Cunneen ran to fifth in the 1,600 and 3,200. 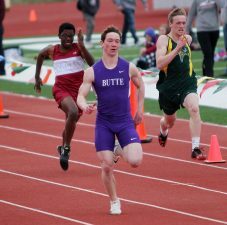 Other Butte High boys to place in the top six were Zach Carlson (fourth, 200), Keagan Gransbery (fourth, pole vault), Tanner Huff (fifth, javelin), Kyle Harding (fifth, discus), Josh Nelson (fifth, pole vault), Christian Hansen (fifth, triple jump, Banner Cetraro (sixth, triple jump) and Dawson Roesti (sixth, discus). Gabbie Parini, Ally Cleverly, Braleigh Garrett and Anna Trudnowski won events to lead the Bulldog girls. Parini again broke her personal record by leaping 16 feet, 9 inches to win the long jump. That is the second time she eclipsed the mark to qualify for the Class AA State meet. She also placed third in the 200 and fourth in the 100. Cleverly won the 400 with a time of 1:03.07. She also took second int eh 200 and third in the 100. Garrett won the 100 hurdles in 17.23, while Trudnowski cleared 5-3 to win the high jump. Trudnowski also took third in the 100 hurdles and fourth in the triple jump. Mollee Conlan took second in the 100, while Kelly White ran to second in the 300 hurdles and Madalynn Rhodes placed second in the pole vault. 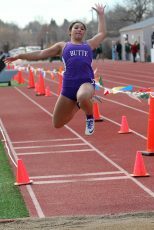 Butte High’s girls took second in both relays. Hailey Nielson ran to third place in the 1,600. 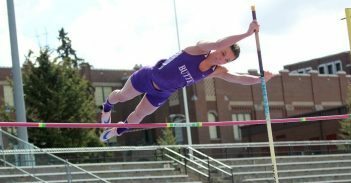 Christiana Beierle placed third in the pole vault, McKenna Kennis took third in the long jump, and Kira Mortensen tied for third in the high jump. 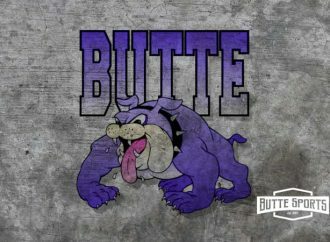 Hailey Herron of Butte High placed fourth in the discus and fifth in the shot put. 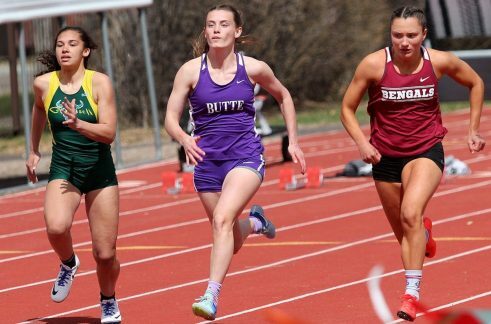 Other top-six finishers for the Bulldogs were Allysn Mueller (fourth, javelin), Gabby Haberman (fourth, pole vault), Kallie Hossack (fifth, discus), Josie Klapan (fifth, javelin), Danika Murphy (fifth, pole vault), McKenzie Faulkner (sixth, shot put), Faith Kelly (sixth, javelin) and Kayla Felix (sixth, 800). 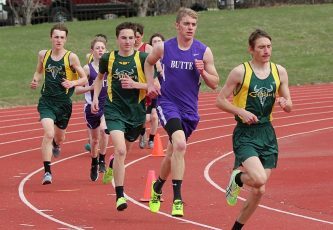 The Bulldogs will compete on their own track for the first time this season Tuesday when they host a meet involving Bozeman and Butte Central.